The pace of change makes it difficult to successfully model, forecast, and analyze your business if you haven't automated how data moves between your transactional systems and your planning systems. Manually pulling, massaging, and importing CSV and worksheets doesn't scale. 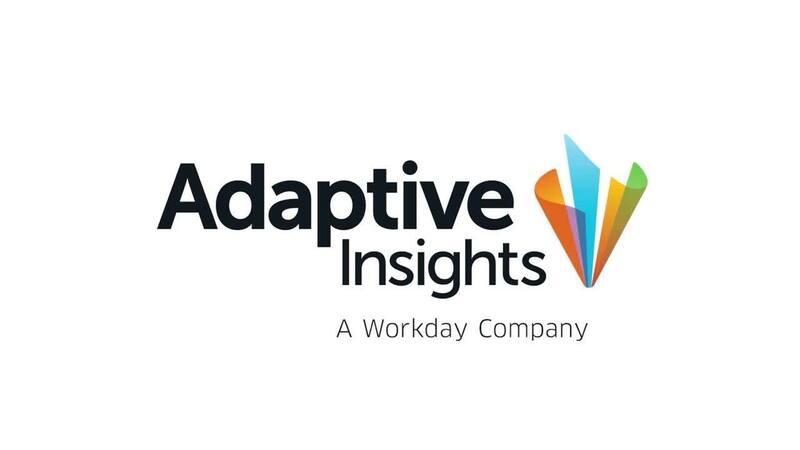 The Adaptive Insights integration framework empowers you and your team to automate data flows so you spend more time understanding and analyzing data, not shuffling it from place to place. With the integration framework, you can reduce your risk of error, free up time from low-value-added tasks, and accelerate your month- and quarter-end reporting cycles. The Adaptive Insights integration framework has significantly enriched our planning and reporting processes. Automation of integration between our source systems and Adaptive Insights has helped us increase the timeliness and frequency of reporting to our business users, while reducing error risk. Automated data flows give you consistent and reliable access to source data from your CRM, HCM, ERP systems, or any transactional system your business depends on. The data in your plans, models, forecasts, dashboards, and reports is up-to-date and accurate. You don't need to worry if you uploaded the right CSV file or if someone broke a formula in one of the hundreds of spreadsheets you used to consolidate. Because the data is coming directly from the source, you know you are working with the real numbers. This frees up your team to add more value through analysis, inquiry, and gaining insight into your business. Adaptive Insights' approach to integration empowers you and your team, not just IT, to manage and maintain your data in the platform. Our click-not-code approach for calculations and transformations is fast and easy to use. Just use the same formulas and math you rely on every day-there's no need to write code. It's fast and easy to test and visualize your source data in a staging area before loading it into your models. And you can combine data from multiple source systems to give you a more complete picture. Unlike other general-purpose business intelligence (BI) tools, our integration capabilities were designed and built for planning. We make it easy to extract, transform, and load (ETL) scenarios and integrate the data with your models, forecasts, and dashboards so you can focus on driving business performance. We provide purpose-built transformations and business rules for planning environments. With an easy-to-use integration platform designed with you in mind, your implementations will be faster than if you try to manage your data manually or use general-purpose ETL tools managed by other departments. The result is a significantly lower total cost of ownership (TCO), faster time to value, and better insights. The Adaptive Insights Integration Framework enables you to leverage third-party integration tools in addition to our own integration capabilities. The integration framework exposes a rich set of public application program interfaces (APIs) that are open and standards-based (REST). Using these APIs, you and your partners can implement custom data solutions using third-party integration tools. APIs can enable you to import actuals and transactions data into Adaptive Insights while exporting budgets, plans, and forecasts back to external systems, including BI and reporting systems. We've successfully completed more than 2,000 integrations across 200-plus different source systems including Workday, Oracle, SAP, Oracle + NetSuite, Sage Intacct, MS Dynamics (Great Plains), Salesforce.com, Deltek Vision, Epicor, Sage, Workday, Plex, Multiview, and many more. The integration framework works seamlessly with cloud-based, on-premises, and file-based applications. We understand that every business has a unique set of requirements and needs for how its data should behave in its planning system. Our professional services team has deep expertise to support companies of any size, in any industry, meet their data requirements for the most sophisticated and complex scenarios, and ensure success. Whatever you need, we're ready to help. Take your planning to the next level with tightly integrated source data.